a) To bring together for the exchange of ideas of men of various professions and political creeds, who are anxious to overcome the obstacles in the way of the effective consolidation of the British Empire. b) To seek and examine the means by which such consolidation may be brought about. The Club combined members with interests in international affairs, the military, politics, religion and journalism. The first dinner was held on Friday 15th July 1910 at the Criterion Restaurant to hear a paper on Imperial Unity read by Leo Amery MP. Present were the first Club Members: The Hon. Robert Brand, John Buchan, Sidney Cockerell, The Rev. A. S. Crawley, Guy Dawnay, The Earl of Donoughmore, Viscount Errington, F. D. Farquhar, Maurice Hankey, Cuthbert Headlam, A. Hoare, E. C. Lister, N. Malcolm, A. H. Ollivant, Rupert Ommanney and C. B. B. White. The Club held 31 meetings over the following five years to 1915. In that year The Records of the Chatham Dining Club were published – covering most of the papers read at dinners in the period from 1910 to 1914. By this time the Club Committee had been been joined by the author John Buchan and journalist John Black Atkins as well as The Hon. Robert Brand, The Hon. Jasper Ridley and P.K. Hodgson. On 31st October 1914 Captain Rupert Ommanney was killed in action fighting in France (he was posthumously gazetted to Major and mentioned in dispatches). Guy Dawnay attained the rank of Major General during the First World War and went on, in 1928, to found the investment firm Dawnay Day. Like many of the founder members, Major General Dawnay continued a life long involvement with the Club, speaking in 1920, 1931 and 1946. He died in 1952 aged 74. In the years following The First World War speeches have taken place under The Chatham House Rule allowing speakers greater freedom to present their views frankly and in confidence. As time passed, the scope of The Club’s original objectives have widened to create a friendly environment with good food, wine and company. Speakers’ titles reveal an insight into the concerns and changing priorities of the date they were made, but also a widening of the interests of The Club. Authoritative figures on a wide variety of topics have been hosted – including politics, the arts, international relations, education, military affairs, religion, business, trade unionism and leisure pursuits. Since 1910, dinners have been held at regular intervals, the pattern broken only during the period of the two World Wars. Initially The Club met at the old Criterion Restaurant, before growing numbers of members necessitated a move to the Dorchester Hotel, then the St. Ermin’s Hotel. 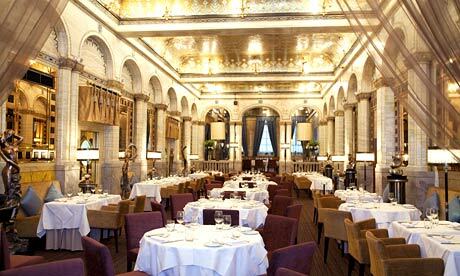 Dinners are now held at a selection of London Clubs, most usually The Travellers’ Club or The Caledonian Club and occasionally at other locations including on the River Thames for The Club’s 100th Anniversary in 2010. The Club membership comprises several family generations and retains a sizeable military membership as well as wider acquaintances. The following members have acted as Honorary Secretary: G. P. Dawnay, R. Ommanney, C. M. Headlam, A. F. Lascelles, P. K. Hodgson, D. Boyle, C. P. Dawnay, E. Clive, D. Oppe, R. Goold-Adams, A. Cripps, W. Bell, T. N. Hughes-Onslow, J. H. S. Burton, A. C. Farquhar, K. M. Egleston, S. Cripps, J. Cripps, A. F. Oppe, R. T. Ricketts, H. U. D. Verney, J. R. Drax and L. Carew.